Online blogs and forums are full of debates regarding the practicality of the this caliber for deer hunting. Making a quick, accurate, humane "kill" should be a priority for anyone who hunts. Ammunition manufacturers produce cartridges that will ensure this goal is acheived with proper shot placement. "Solid" bullets like the Barnes TSX and Hornady GMX are great choices and can allow hunters to use an even lighter weight bullet than is typically used for deer in this caliber because of their reliable expansion and very high weight retention. Older, but proven bullets with reliable expansion (like the Nosler Partition) are also a good choice for hunting with your AR-15. Shot placement and knowing the limits of range for your weapon and skill set are more important than ammo choice, but ammunition selections like these are a great contribution to confidence in the field. Any of the rifles in the DTI product line can be successfully used as a quality deer hunting rifle. Even economical, "base" models like the DT Sport have the features necessary for filling your tag. Clicking on the highlighted "DT Sport" above will take you to a related article from a recent, major periodical about hunting with the DT Sport model. Depending on the environment in which you hunt, "iron sights" may be all thats needed, but an optic will allow you to confidently extend the range of your rifle. DTI offers optics from EOTech, Aimpoint, and Trijicon that have been proven useful in both tactical and hunting applications. If you choose to use a magnified scope, keep in mind that it may be necessary to use a riser or taller rings on the flat top picatinny rails in order to have a sight picture with which you are comfortable. The standard AR front sight base might be visible in the optic's sight picture (depending on the position of the mounted scope and its magnification) and some hunters may find this distracting. Most "red-dot" or holographic optics are designed so that this is not problematic; they position the dot on the front sight and tend not to disrupt target acquisition. Purchasing and installing a "gas block" to replace the front sight base can alleviate this concern completely. Gas blocks with a rail or flip up sight on them will still allow use of iron sights, should that be necessary. If you would like to add a dimension of "camo" to your hunting AR-15, alternate color choices for stocks, handguards, and grips are available at DTI that can make the "black rifle" a little more subtle in the woods. These parts are available in colors like Olive Drab and Flat Dark Earth and can help your AR blend into most hunting environments. It is important to check the laws in your state regarding the minimum caliber for deer hunting, magazine capacity restrictions, and for other regulations that may determine if or how you can use your AR-15 rifle for hunting deer and other animals. Thanks for reading our blog. If you have any questions about the parts and rifles we produce and sell, or anything about the AR-15 in general, please contact us. 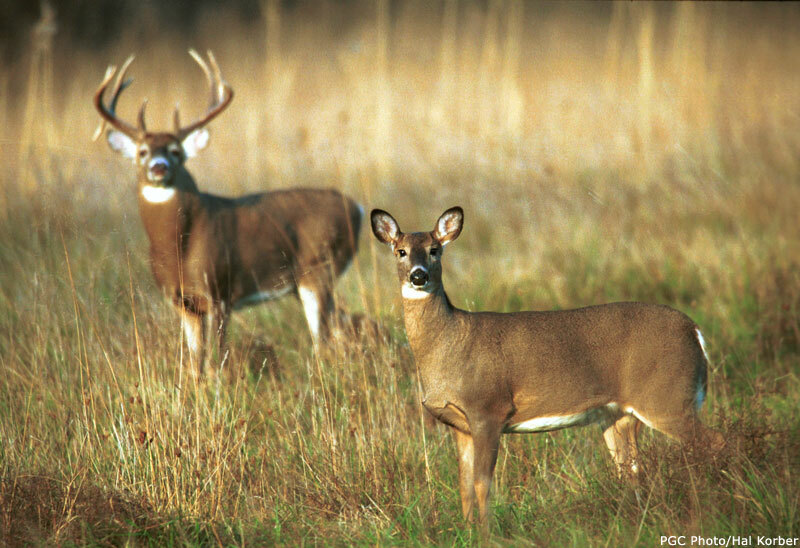 We hope you have a successful and safe hunting season! I ended up using my AR-15 with a 223 round recommended from Field & Stream I used it this November and shot a doe followed her blood trial but never found her I will never use My AR-15 again , I'm will be using my Mossberg 308 Patriot it does a better job knocking down the deer especially hitting in the neck area, thanks for the tip but like I said I will never use it for deer Hunting again. thank you so very much for your kind and considered word about the Ammo too use for a AR-15 I do have both Barnes 556- TSX - and I also bought Hornady 55 grain I also have a Remington 7400/30-06 If I use the standard 180 gran Im sure I well be successful but using a 220 Grain I shouldn't have any problem right. Well I went too ST. Helens this past 6 days I didn't see any Deer and I never firer a Shot there fore I am not giving Up just yet their is still time too hunt after the 24th after Thanksgiving and then their Bow hunting after Rifle Season is Over So it is what it is. I have a Adams Arms 556-Caliber 1:7 twist some told me that I could enter-change my 556 caliber with a 300 Blackout buy changing my Bolts assembly is this true or false!! well I went hunting in Michigan and hunted with my Remington 30-06 7400 Model I was unsuccessful this year because My 30-06 wasn't shooting was mess-up and I didn't get the kill my First buck that gave me 7 minutes too take him down, Since then I took my Remington 30-06 in for repairs , Now on the Other hand I also bought my 556 AR-15 with Barnes TSX & Hornady GMX but was unable too use it, So for Christmas I am buying a Mossberg Patriot 308.Caliber Bolt Action Soon its too bad the only way I like a Rifle if its a Semi-Auto 308 in a A-10 but can't afford one just yet But one day I will own one. When exploring for early season bow hunting, there are a few decent techniques to utilize. please to get the best violin reviews. I am really great for shot placement but as I stated I will never use a AR-15 in Deer hunting ever again as you stated about a humane kill I am sure if I shot this doe right behind the ear yes but being the round went 2495FPS is a waste of my talent I will stick to my 308 it does a better job. Many different weapons are permitted in various states of the USA during certain times of deer season. These include bows, crossbows, rifles, shotguns, and muzzleloaders. There is an internal debate hunters inevitably go through when considering to hunt an animal whisker biscuit they cannot legally import back into the United States.